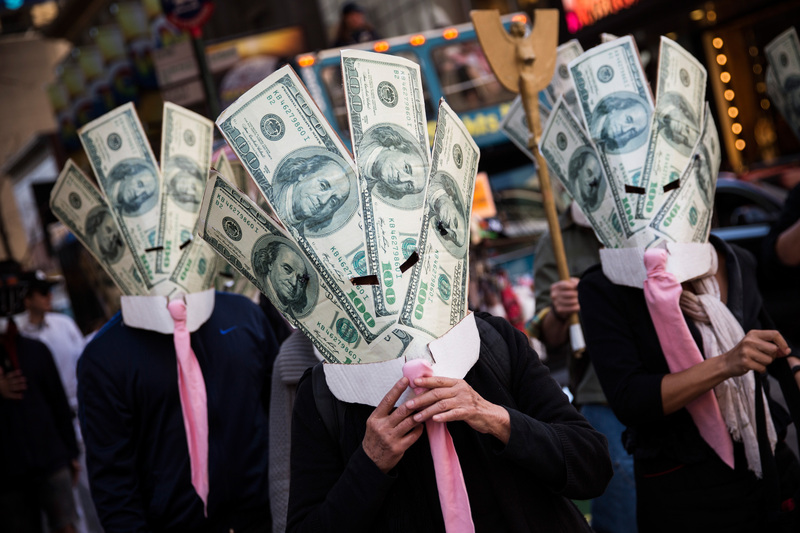 1 in 5 Americans Will Earn $100,000 a Year, But How Is That Possible? C'mon, researchers, are you just messing with us now? Amid news that 80 percent of Americans will face near-poverty, unemployment, and/or reliance on welfare at some point in their lives, comes this baffling contradiction: apparently, 20 percent of Americans will earn at least $100,000 annually at some stage in their lifetime. This group of "new rich" tends to be older married couples, and educated, older professionals. They earn up to $250,000 per household, per year, at the highest-earning stages of their lives. The new rich generally stay within the top 20 percent of the country's earners for most of their lives. This is great news for the one in five Americans that qualifies as "new rich," but further illustrates the huge income gap that exists in the United States. The "new rich," who remain affluent for most of their lives, are nothing like most of the country: another Associated Press examination of survey data found that four in five Americans, or 80 percent of the nation, are subject to unemployment, near-poverty, or reliance on federal welfare at some period in their lives. And 50 percent of the country's renters pay more for rent than they can afford: "Paying more than 30 percent of your income on rent [as the 50 percent do] is what experts call unaffordable," ThinkProgress points out. The number of Americans considered affluent has more than doubled since 1979. The "new rich" is a fast-growing group, and their children often remain inside the cushy demographic. Meanwhile, one in two Americans who earn less than $48,000 annually said in a poll that there was not, actually, "plenty of opportunity" for them to get ahead in this country. President Obama has placed an emphasis on closing the rich-poor gap in America, calling it "the defining challenge of our time." This new data suggests he has his work cut out for him. Of course, there's a whole spectrum of reasons for the ever-growing wage gap: analysts have pointed to the increasingly globalized American economy and the loss of well-paying manufacturing jobs as major culprits. Even as job growth climbs, most jobs available are still either largely high-skilled jobs or low-paying work. More and more, the "middle-class" is ceasing to exist entirely.